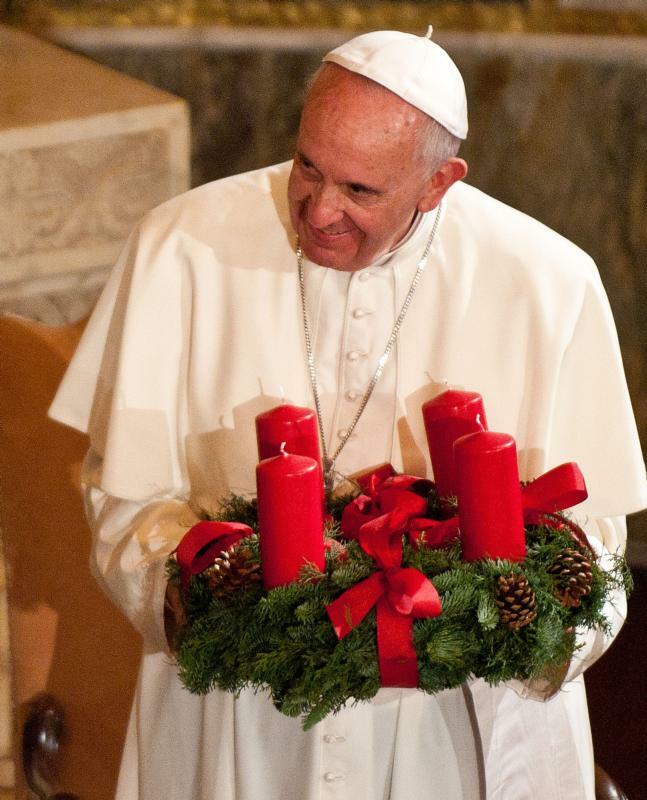 It is not mysterious at all that the church lodges an annual day of joy in the heart of Advent. The tone of this December day, called Gaudete Sunday, is set by the coming joyful days of Christmas, which the Advent season awaits. But something is a little mysterious about joy itself. The entire notion of joy mystifies many. For joy is as difficult to define as the happiness it resembles. Am I joyful if I do not feel wonderfully alive and excitedly hopeful at every moment? Some judge themselves harshly against an imaginary standard for joy, perhaps joy as they imagine it to exist in other people’s lives. Here they suspect that they do not measure up. Is it time to rethink the illusory image of joy that makes itself known too frequently — a dispiriting image that makes us think we’ve missed out on joy? The Scripture readings for Gaudete Sunday Masses in 2016 could aid this rethinking. “The coming of the Lord is at hand,” they proclaim (Jas 5:8). A Christmastime of joy is visible on the horizon. But what will its joy feel like? Think of the joy farmers feel after waiting patiently for a harvest and viewing “the precious fruit of the earth” (Jas 5:7). If their joy is not of the jumping-up-and-down, gleeful kind, it nonetheless is real. Joy also is experienced when “the blind regain their sight” and “the lame walk” (Mt 11:5), the Mass readings suggest. This prompts memories for me of what it feels like when, after thinking long and hard about the right decision to make in a consequential matter, my eyes suddenly open and I see clearly the steps I should take. It makes me think, too, of the quiet sense of satisfaction felt when a fearful, reluctant friend or family member — possibly someone suffering the effects of an addiction — takes the first steps into a more rewarding lifestyle. Then there is the joy that, at least for a while, displaces other worries when someone close to us recovers from an energy-sapping illness. We rejoice as “feeble” hands regain strength and “weak” knees are firmed-up (Is 35:3). Finally, when considering what joy looks like in real people’s lives, think how the spirit soars when a desert bursts into bloom and the “parched land” sings (Is 35:1). There are deserts in many lives. These deserts may assume the form of lifeless, damaged relationships at home or the loss of any sense of life’s purpose. Joy of a special kind is experienced when hard work, renewed commitment and faith bring a desert back into bloom. True enough, however, any of these forms of joy could bring on tears. But they will not be tears of despair. Life typically feels more joyful when a sense of expectation pervades it. It is easier to relish life when we look forward to something, whether a birth, a new home, a child’s return, a vacation or a reunion that promises time together with friends or relatives we seldom see. This is what makes Advent unique. Advent looks ahead expectantly. It points directly away from despair and toward the joy that accompanies the Lord’s coming — not his coming into a perfect world but into the actual world we inhabit.